Radiation professionals from around the world celebrated Marie Curie’s birthday on November 7, 2018, with a new hashtag: #WomenWhoCurie. Born in Poland on November 7, 1867, Dr. Curie is celebrated for her pioneering work in physics and chemistry. She discovered both radium and polonium, and developed the theory of “radioactivity,” a term that she coined. She was the first woman to win a Nobel Prize. She was also the first person to win the Nobel Prize twice, and the only person to ever win a Nobel Prize in two difference sciences (physics and chemistry). She received her first Nobel Prize in 1903 in Physics together with her husband Pierre, awarded for their studies on radiation. She won her second Nobel Prize in 1911 in Chemistry for her research in radium and polonium. She had two children and died at age 66 from aplastic anemia, which was attributed to her significant radiation exposure during her career. This year, to honor Marie Curie and bring awareness to female radiation oncologists around the world, the Society for Women in Radiation Oncology (SWRO) started a social media campaign. Inspired by the success of the #ILookLikeAnEngineer and #ILookLikeASurgeon campaigns aimed to break stereotypes in traditionally male-dominated fields, they encouraged physicians to share pictures of themselves with the new hashtag #WomenWhoCurie. Radiation oncologists, radiation physicists, radiation therapists, radiation nurses, and other radiation oncology professionals from around the world gathered together and shared photos through the day. Per tweetbinder.com, from Nov 7, 2018 08:28am until Nov 8, 2018 1:29pm (EST) a total of 2,000 were shared by 720 contributors, representing 3,365,444 potential impacts (the potential number of times someone could have seen the hashtag). Photos and inspiring posts were also shared on other social media platforms including Facebook and Instagram—we’ve included just a small sample of the many wonderful publicly shared images at the bottom of this post. While these women were training at different programs across the United States, they recognized that they faced common issues as a minority of radiation oncologists overall. Per the AAMC and ERAS, the number of women going into radiation oncology as a field has not been increasing over the past 20 years. This is in contrast to hematology/oncology fellowships, which now boasts near gender equity among trainees (48%). Radiation oncology is among the five residencies with the lowest percentage of female applications, including orthopedics, neurosurgery, urology, and radiology. We hope that SWRO will continue its great mission and the #WomenWhoCurie hashtag will remain a popular way to bring awareness to the wonderful work that women in oncology do every day. Dr. Knoll is a radiation oncologist at the John Theurer Cancer Center at Hackensack University Medical Center. She serves as medical director of the Department of Radiation Oncology at Hackensack University Medical Center/Mountainside. 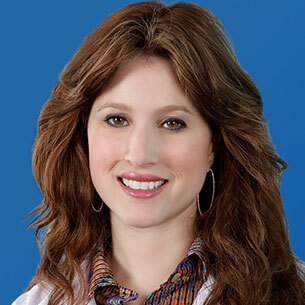 Dr. Albert is a PGY-4 radiation oncology resident at the University of Mississippi Medical Center. She serves as a SWRO Executive Committee Member and an Executive Committee Member for the Association of Residents in Radiation Oncology (ARRO).